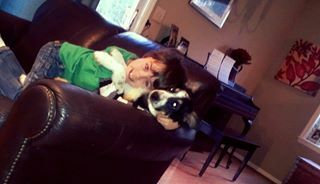 When Autism comes into your family your entire world changes. Hopes and dreams have to be rearranged. Keeping your child safe can become as overwhelming as the financial burden of never-ending therapies. Play groups, team sports, and visits with friends are replaced by support groups, speech therapy and trips to the Principal's office. Autistic children often suffer with insomnia and have a propensity to elope/wander without a sense of danger, which means that their parents don't sleep much. Worry about the future or whether they will be bullied in middle school pales in comparison to the threat of constant and immediate physical danger. 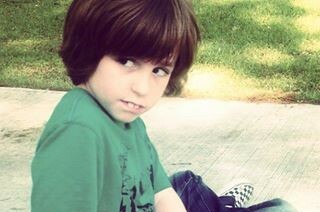 My son Anthony is nine years old and his journey with Autism is remarkable. 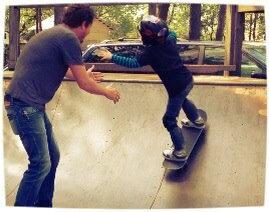 You would never know that my skateboarding, piano-playing math whiz learned to speak less than four years ago or that he wore diapers until he was nearly six years old. If you see him diving in the pool or riding waves on his body board at the beach, it would be difficult to guess that only 2 years ago, Anthony had a crippling fear of running water that prevented him from going to the beach or even taking a bath. Our modest home is in the peaceful Cul-de-sac of a coastal community and looking at its ordinary appearance, it would be impossible to ascertain that every window and every door has a security latch designed to keep Anthony from walking outside and entering the homes of neighbors without reservation. Every day Anthony conquers something new. Last week it was multiplication. Maybe we will get through today with less than three melt-downs. Maybe this will be the week that he learns to tie his shoes or maybe this will be the week that he realizes that his grandparents and my parents are the very same two people:..maybe. Anthony and Moses have an amazing opportunity with the PAWS Training Center in Wilmington NC. During the course of the next year, Moses and Anthony will work together to bring out the best in one another. Moses will learn to interrupt and decrease the length of Anthony's meltdowns and he will learn techniques for helping Anthony avoid dangerous situations. 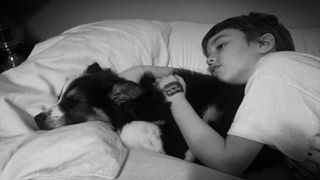 Autism service dogs help deter insomnia and encourage language development through response to verbal commands. 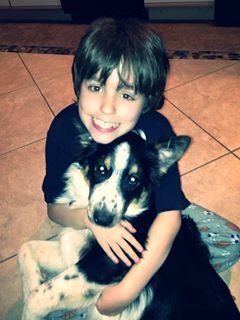 They also ease social anxiety when focus is shifted toward the dog and away from the child who often feels scrutinized. Moses will learn to be an attentive companion while Anthony learns the importance of responsibility, loyalty, and friendship. Once they meet American Disability Association standards Anthony and Moses will be a certified therapy team that will visit assisted living facilities, children's hospital wards and even veterans of war dealing with PTSD. Alpha Training Camp for Moses will begin on July 1st of 2013. Once the six week course is complete, Moses and Anthony will train side by side over the coming year with therapists and trainers to learn how to be a team in all aspects of life. The cost of this journey will total $12,000-$15,000 from the beginning stages of training through the final stages of testing and certification. The combined salaries of a nurse and a landscaper simply don't allow for this kind of extravagance so we are hoping and praying for the kindness of strangers. Once certified, Anthony and Moses will be able to return some of the kindness shown to them by reaching out to people in our surrounding communities that would benefit from the kind of healing that can only come from a paw. and help spread the word about the awesome work they are doing to bring the outside world a little closer to kids like my Anthony! Since Anthony's school cannot provide a 'shadow' to help Anthony with transitions between classes, he is not safe. 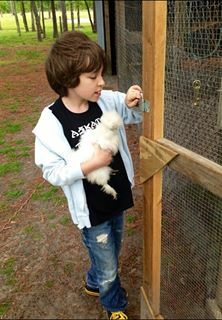 We had to make the difficult decision to homeschool Anthony so he spends most of his days at his grandparent's farm. 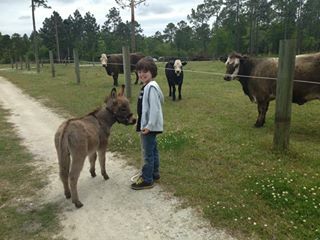 He adores the animals and has a quiet understanding of them that is difficult to put into words. While most kids are learning math by doing worksheets, Anthony learns math by calculating feed, making change in the hardware store and figuring out how much seed is needed per row in the garden. We have tried desperately to keep Anthony's life as close to "normal" as we possibly can. Team sports aren't an option for Anthony because the rules are far too complicated and it's not feasible to make the entire team play at a pace that is comfortable for Anthony. So, we participate in local Autism surf and skate events where Anthony is free to roam with supervision and participate in silence without judgment----or chatter endlessly about nothing in particular if he feels compelled to do so. 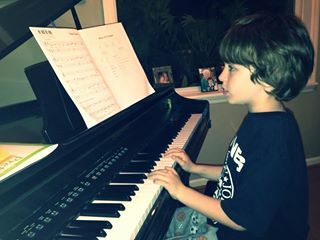 We were blessed to find a kind-hearted piano teacher that has help us bring the gift of music to Anthony and we were all pleased to find that he has quite a talent for the piano that is helping us teach him the art of discipline. If you made it to this point in the page, you have invested a good portion of your time learning about our amazing son and his remarkable journey with Autism. So please share this link on your Facebook page and forward it to your email contacts. Because above and beyond this fundraiser and whether or not you choose to donate, awareness is the single most valuable gift you can give my son. For that, We thank you. Anthony's fundraiser was a success and Moses completed Alpha camp with flying colors! He and Anthony work very hard together every day to overcome some of Anthony's biggest challenges. They have already mastered their insomnia training and Anthony has slept 7 nights in a row in his OWN bed, ALL night long! We are getting closer to our goal every day!! Please share Anthony's page and ask your friends to do the same. Let them know that this is a child in your life and that he is remarkable:-). Help us raise Autism Awareness one person at a time! It has been an amazing week and we have been lifted up and inspired by the support of our amazing community! With only a short time left to complete our mission, I am renewed by the energy of our awesome volunteers:-) Thank you! 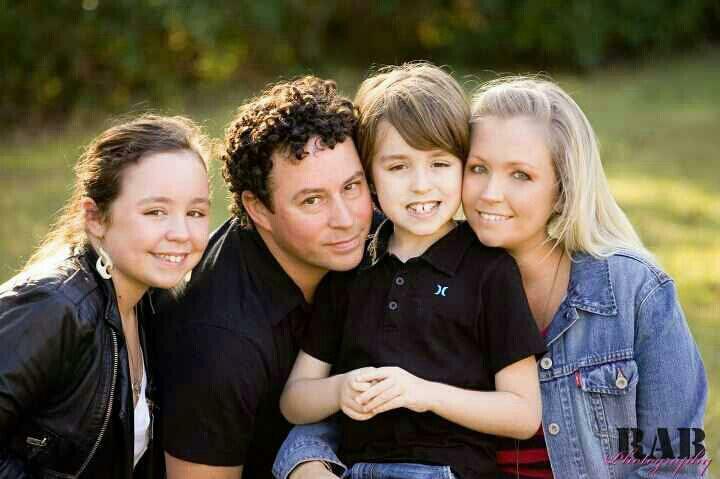 I continue to be amazed and moved by the support extended to our family. You all are changing Anthony's life by sharing his story with as many people as you can and I am beyond grateful for the growing number of people willing to invest in his success:-) Today, I am thankful for the renewed sense of purpose and motivation that this support brings! Awareness is sometimes a painstaking process, but we are determined to raise it...one person at a time:-) Thank you for the support. We are so blessed to have each of you in our lives. I am the mother of a 22 year old autistic son with many of the same obstacles as your son. I'm here to tell you that, as a parent, federal law states that you can dictate what your son needs for public school and the school district MUST comply. His condition qualifies him for an IEP (Individual Education Plan). It is required by law that he is assigned a case worker that will put together a plan of goals for the coming year that meets with your approval. Many schools will say that they are tight on funds, but each and every school receives federal funding per child and those with learning and physically disabilities allow the school to receive additional funding that should cover additional expenses like assisted transitioning between classes. I had to fight my son's school district for the same assistance. When I went in armed with the information of the federal laws they were breaking by not complying, they caved. They depend on you being unaware of your children's rights to an education. Fight for your son and don't ever let anyone tell you that you have to accept less because your child is autistic. My son also had issues with aggression. They did not have dogs to intervene back when his issues came to the surface, so he is now on Risperdone to control his outbursts. It has been a blessing, but I do wish there was a non-medicinal way to get him to remain calm and focused. Good luck to you and your family! I know the job ahead of you will not be easy, but it sounds like you are on track. Anthony, I know your Mom and Dad for years and I also know how much they love you. You are making them proud. Keep it up little guy. You wrote the story beautifully, Holland. We will be purchasing barbeque dinners today also. God Bless you and your family. Mr. Schneider and I wish only the best for you. To our Cul de Sac buddies, we look forward to seeing all the great things Anthony and Moses learn. May God continue to bless you and those who have given to this worth while cause.